We are a member of CX-network flower ship & HANA-Cupid network(Japan florists' transworld delivery association) so that We prvide same day delivery within Japan. But even if its so please order few days before in advance in case. Delivery to Sasebo military base is may not be possible. We are also unable to guarantee delivery to other military bases due to increased security. It may takes 3-5 days to take delivery permission. We are a participation of JFTD(Japan Florists' Telegraph Delivery Association),and Flower ship network powered by FUJI TV FLOWER CENTER CO, LTD. 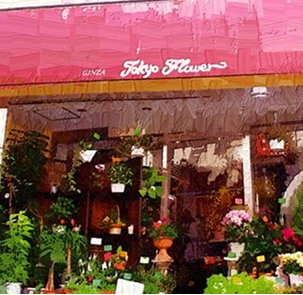 Flower ship: is also the Japanese flower delivery network comprising 2800 florists. They cover to deliver most of places in Japanand all over the world. We take your order even if its immidiate order to Japan or World wide order. There are some areas which unable to deliver your order especially international order. Please do not hasitate to ask before your order. Use the link for register your credit card No. and the other item over SSL. Copyright © ginza TOKYOFLOWER All Rights Reserved.